Boat to Tacky Jack's from your own beautifully updated condo in OBA! Located close to everything! Don't miss this opportunity to own a little slice of Heaven! This condo has everything! The gorgeous newly redone kitchen and baths, open living area, 2 bedrooms downstairs and large open loft bedroom upstairs offers plenty of room for all to enjoy! 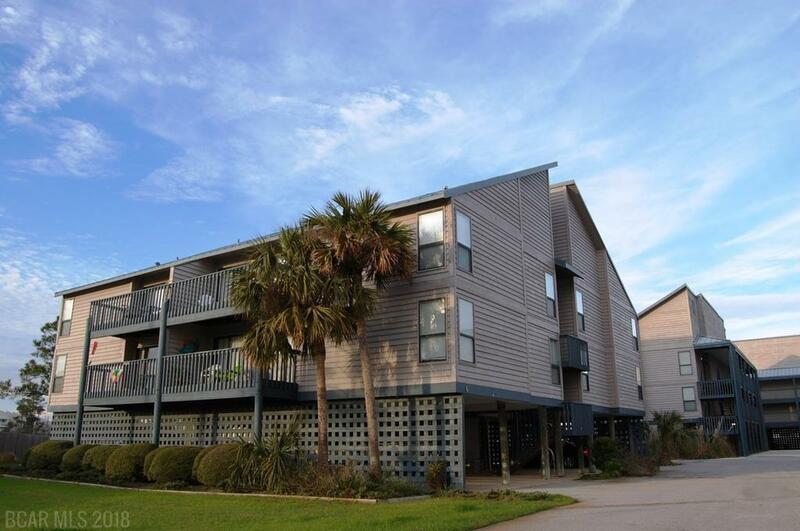 The unit is nestled on Cotton Bayou and directly across from the Gulf with access to both. Cotton Bayou is perfect for boaters and has one of the few private launches left in OBA. There is a 1st come 1st serve boat dock, tennis courts, pool, Tiki bar, covered parking, storage and more. You don't want to miss this one! Listing provided courtesy of White-Spunner Realty - East Shore. Listing information © 2019 Baldwin County Association of REALTORS® MLS.